This is a very tasty recipe using marinated breast of turkey. 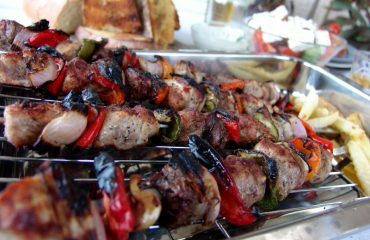 The skewers can be cooked on the bbq or under a hot grill. 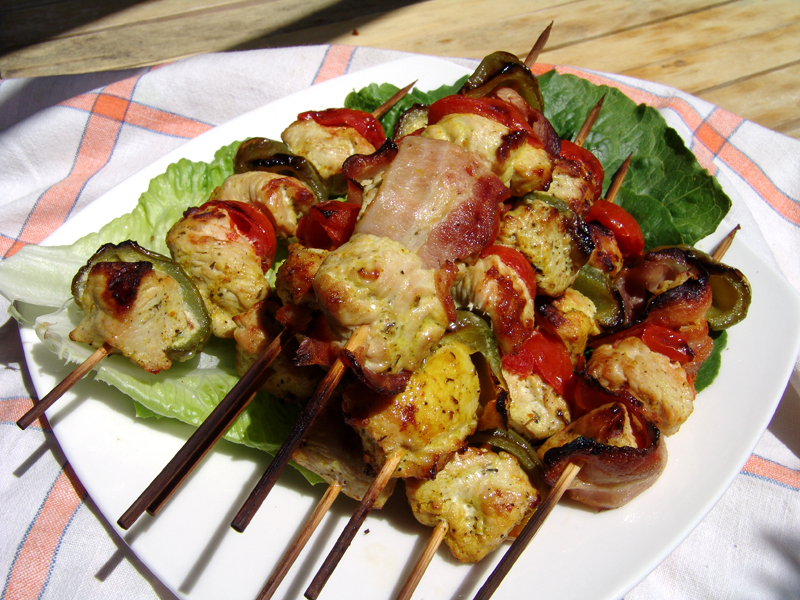 You can add or subtract any ingredients you like from the marinade until you have the taste that you like best. Place the wooden skewers in a bowl with water and leave them to soak until needed. Mix all the ingredients for the marinade in a bowl. Put the turkey pieces in the marinade, stir to cover them well. Marinade them for one hour, stirring every now and then. Skewer the pieces of meat alternating with the cherry tomato halves and peppers. If you wish you can also use pieces of bacon as well. You can either bbq them or cook them under a hot grill. The cooking time depends on the size of the cubes. Start with 5 minutes per side, have a peep inside and cook for a little longer if you see pink. Serve with a huge green salad and if you want to be adventurous with some French fries.